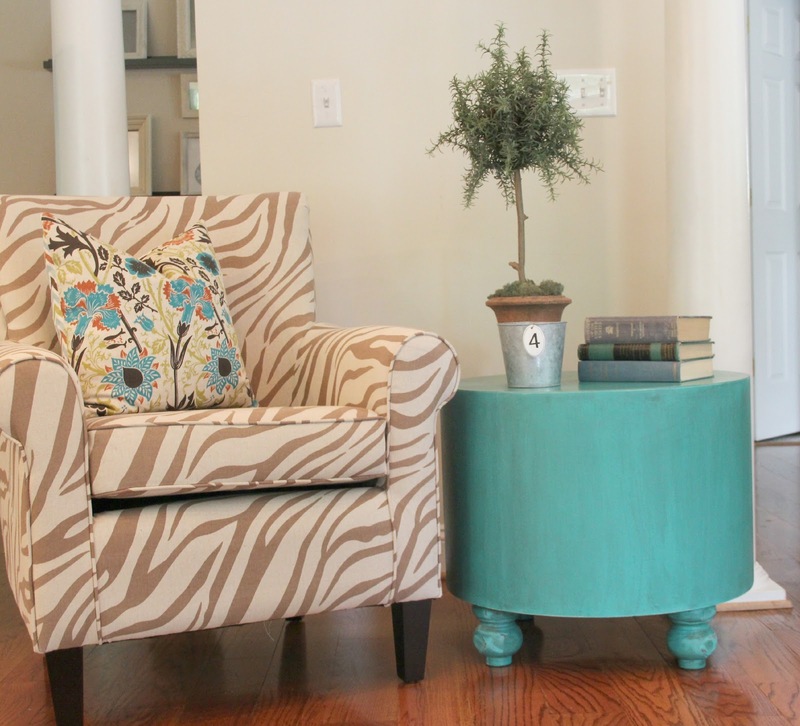 This is a one of a kind piece of furniture that will be sure to add a pop of color to any room. Painted with Annie Sloan (Florence) paint. Has a worn and distressed finish. 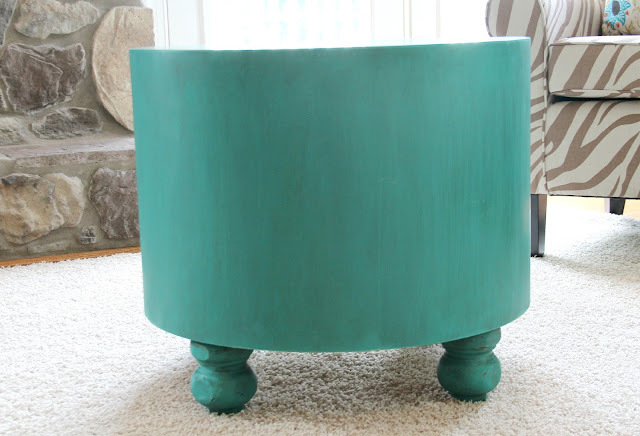 Would be perfect for a end table or ottoman.